Rabbit Hole Hay is a new online company that offers informational resources for anyone searching online for information about adopting a house rabbit for a pet, rabbit care, and what rabbits eat. Rabbit Hole Hay also sells farm fresh alfalfa hay and timothy hay online, that is delivered straight to the customer’s door. Rabbit Hole Hay sells the best kind of food for rabbits. 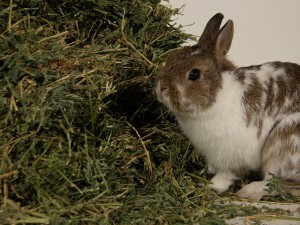 The company offers quality, farm fresh alfalfa hay and timothy hay for rabbits and other small animals. The alfalfa hay and timothy hay both provide a good source of nutrients and can be ordered online and delivered straight to the customer’s door. With an easy online ordering process for quality alfalfa hay and timothy hay, and the option to learn more about having a house rabbit for a pet, customers can eliminate a trip to the pet store altogether. Visit Rabbit Hole Hay to find information about adopting a house rabbit for a pet. Contact Rabbit Hole Hay to place an order for farm fresh hay for rabbits and other small animals.